Olive oil in a green salad is a must, but how often have you thought of mixing fruit with olive oil? 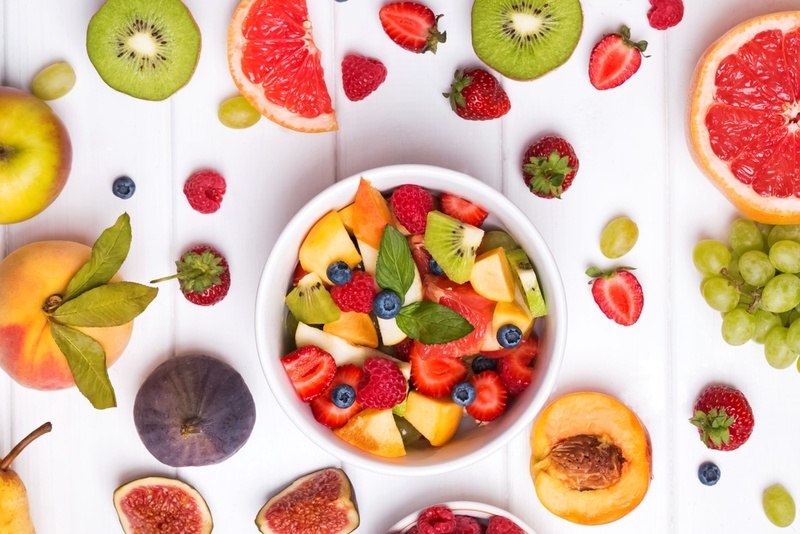 Here's a fruit salad dressing recipe with extra virgin olive oil to make your next bowl of fruit tangy-licious. In a small bowl, mix orange juice, lemon juice, and sugar. Whisk in the olive oil a few drops at a time until dressing is creamy and emulsified. Taste and adjust ingredients to make vinaigrette zesty and well-balanced. Pour over a mix of fresh fruit. We recommend strawberries, blueberries, watermelon and grapefruit.